AssassinCraft is an amazing modification for Minecraft that transforms your main character into a total assassin. This mod is inspired from a popular video-game series Asssasin’s Creed by Ubisoft. It brings weapons, armours pickpocketing, horse riding, mobs and almost every feature from the standalone game into the Minecraft. It is compatible with all other popular mods (TMI, OptiFine etc.) and is currently being developed by Castielq with the help from community suggestions. YOU NEED A FRESH MINECRAFT!! Go and install Minecraft Forge API. Run minecraft ONCE, then close it. 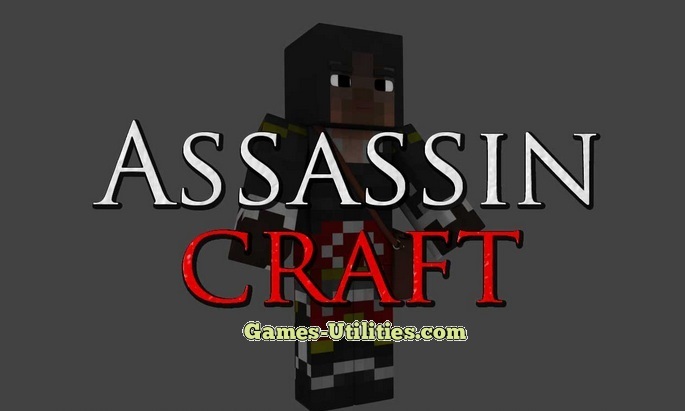 So guys have fun playing Assassin Craft mod with the compatibility with the latest Minecraft 1.5.1. Keep coming here to check the latest updates of your favourite game here. Also, post comments below if you’re having trouble installing AssassinCraft.